Low-cost great cause! Check out new and pre-loved apparel, accessories, handbags, footwear, toys, books, DVDs, gifts, and household items at bargain prices. 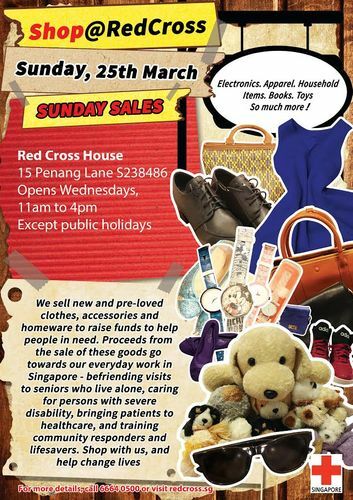 Sales proceeds will go towards Singapore Red Cross’ local humanitarian services.